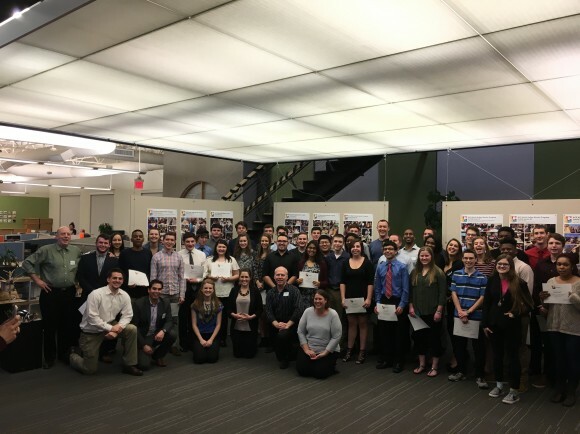 Among AIA Dallas members and ACE mentors, I see the same same commitment to serve our community and the same passion to truly make a difference. This past week, the ACE Mentor Program of North Dallas celebrated the conclusion of its fall program. Forty six students presented what they learned to a group of parents, teachers and very proud mentors. This was my second year serving as mentor coordinator for this program alongside Samantha Raburn. As I look around at those who make the ACE Mentor Program successful, I see the same faces that make AIA Dallas a success. Among our mentors, I see AIA committee chairs, two AIA board members, and many of the same faces I see in my own committee's meetings. As chair of the Educational Outreach Committee, I see many parallels between our committee's mission and that of the ACE Mentor Program. Furthermore, among AIA Dallas members and ACE Mentors, I see the same same commitment to serve our community and the same passion to truly make a difference. As we begin a new year at AIA Dallas, with new committee chairs and new members, I look forward to more opportunities to collaborate with service organizations across our city. In the Educational Outreach Committee, we are excited about our goals for next year, and we invite you join us in making a difference for our area's students.